Hey friends! Thanks so much for your kind words on my kitchen reveal. There are still lots of things that I need to do, but I am happy to see it in its pretty much completed stages. 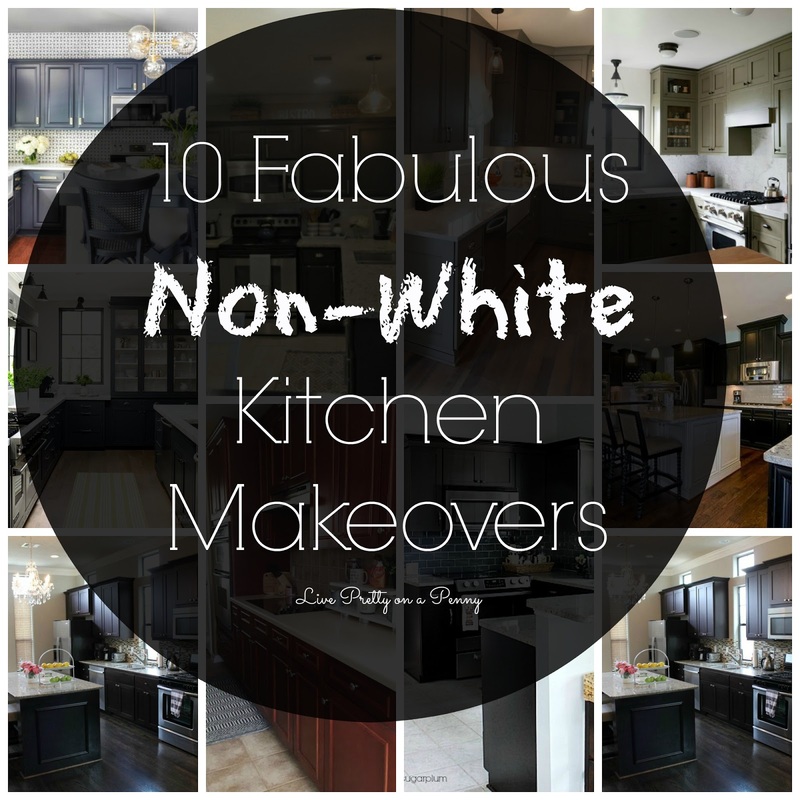 As we know all over the blog and décor scenes, all white kitchens are the rave. Now, don’t get me wrong…I LOVE all white kitchens. They are super gorgeous. Some of my close blogging friends have them, and they are stunning. 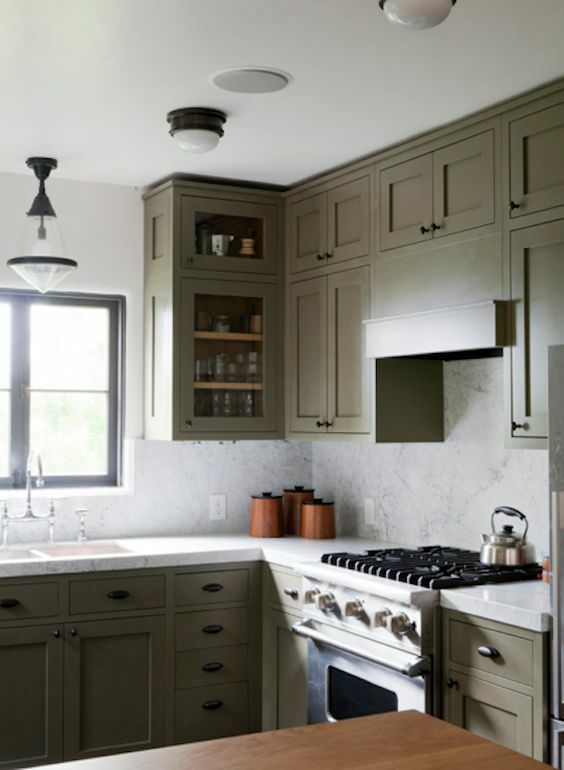 Since, I am a dark kitchen dweller and love them just as much, I figured that I would show you guys some great cabinet color alternatives to white that you are sure to love too! 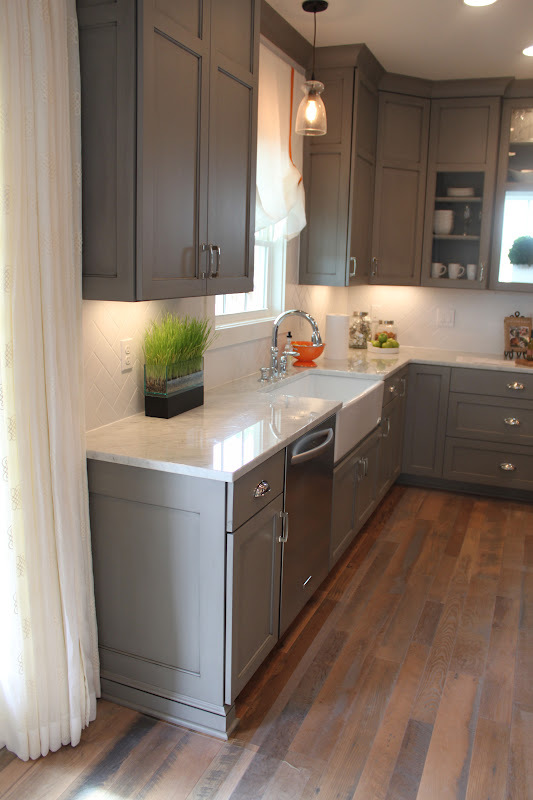 I am loving these gray cabinets with the white backsplash and marble counters. So timeless. I don’t think I would grow tired of this color. 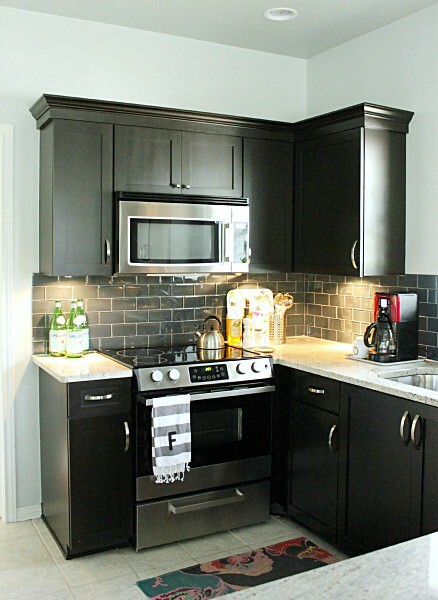 Another dark option, these cabinets look black to me, but pop nicely against the white subway tile and light counter. I also love the contrasting kitchen island in white. 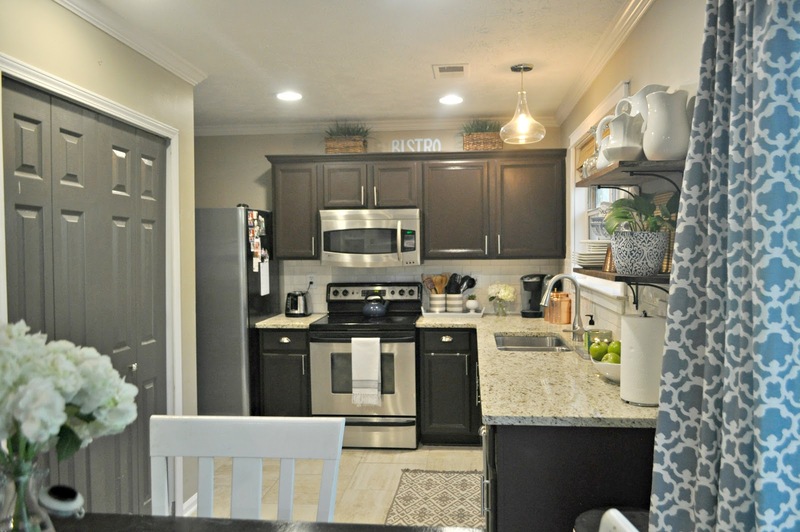 Two more gray kitchens that I love. Of course I am a fan of the wooden shelves and think they are a great combination with the gray lower cabinet’s. 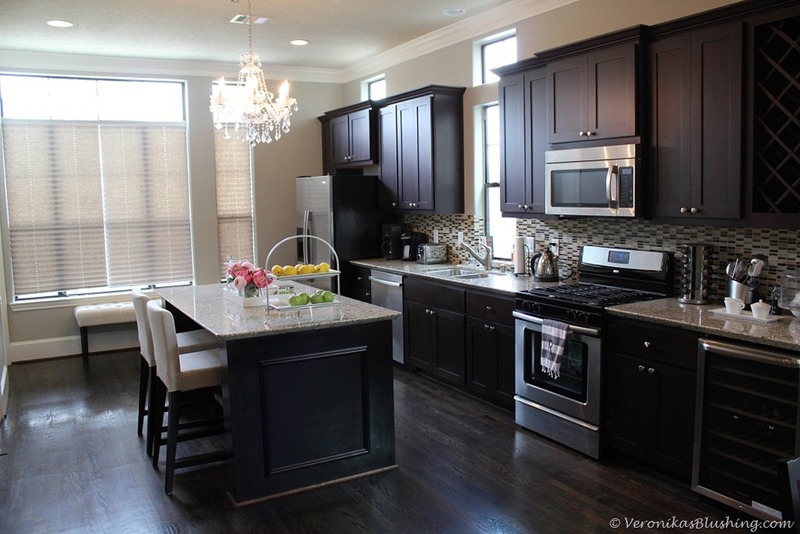 This kitchen is beautiful with the non-painted stained cabinets. 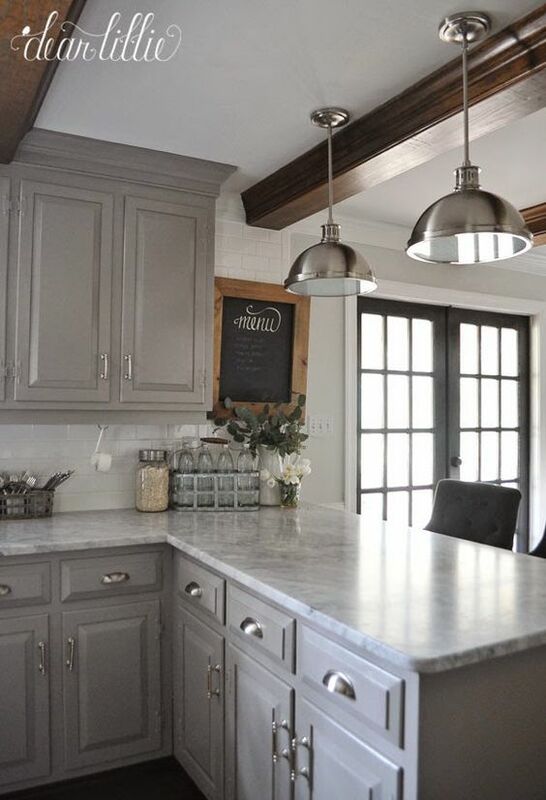 So classic and I love the height on the cabinets! This kitchen looks super modern, with a mix of traditional. Love it. So there you have it. 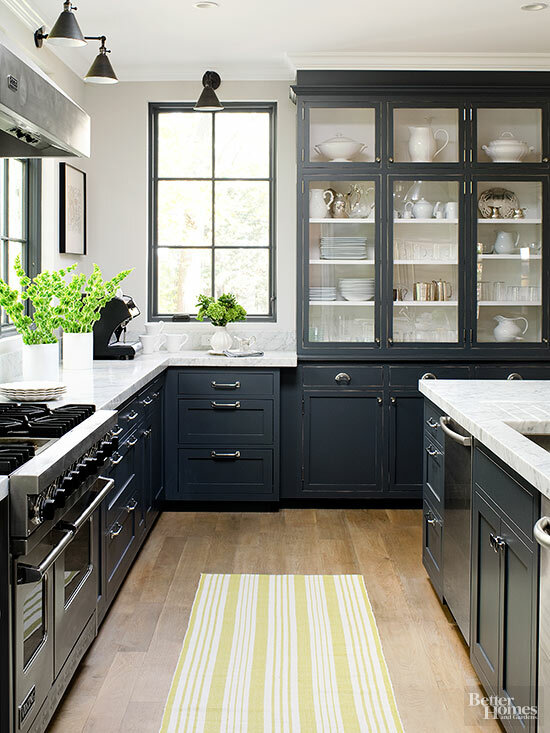 I hope this gives you lots of inspiration to try your kitchen cabinets in an alternative color! Thanks so much for stopping by. Until next time. 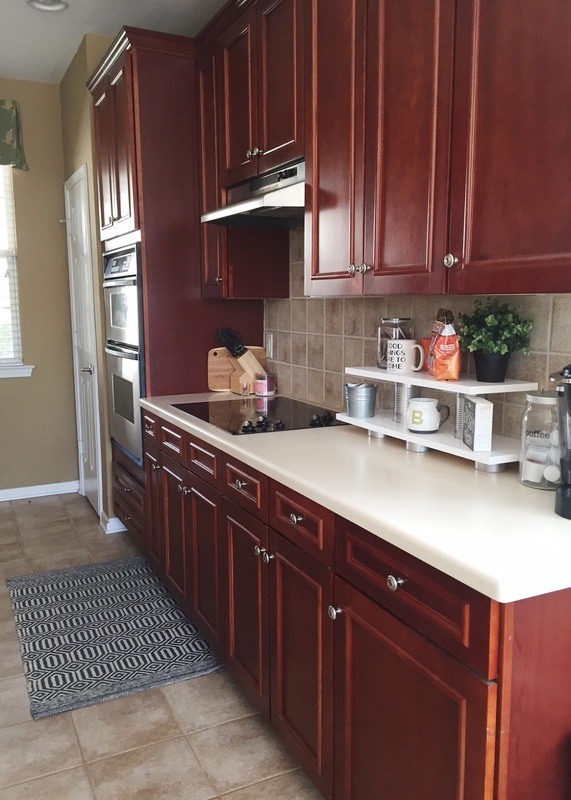 Previous Post Live Pretty on a Penny Semi- DIY Kitchen Reveal! Next Post My 5 Favorite Last Minute Thanksgiving Tablescapes! Not sure how I missed this, gotta catch up! 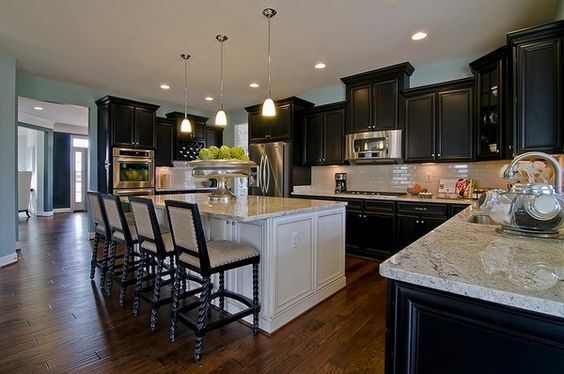 I'm in love with the black kitchen, its so fab! Oooh, these are all really pretty, Erin!